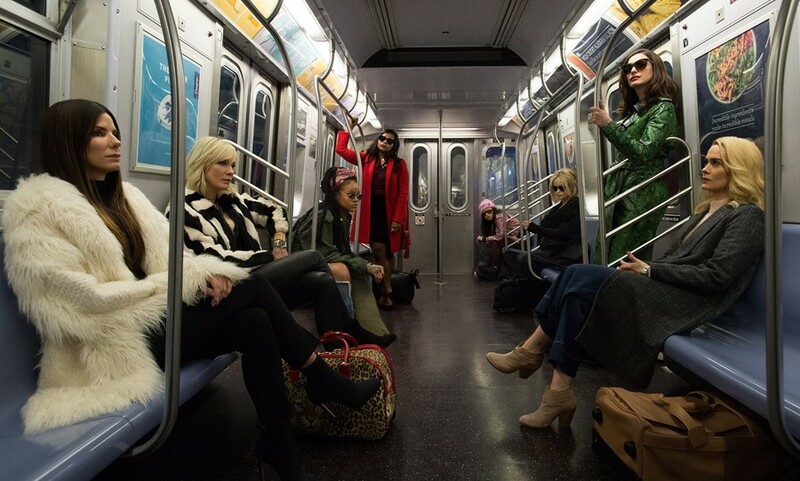 A new trailer for all-star, all-female heist movie Ocean’s Eight has landed. Across two wild minutes, we see Debbie Ocean (Sandra Bullock), sister of the original film’s Danny Ocean, mastermind a plan to steal an astronomically expensive piece of jewelry from the Met Gala. Ocean recruits a team of seven women – including Cate Blanchett, Mindy Kaling, Rihanna, Helena Bonham Carter, and Sarah Paulson. Rih plays 9-ball, a genius hacker, while Blanchett is a sharp-tongued confidante a la Brad Pitt in the first few films. Ann Hathaway plays Daphne Kluger, the rich celebrity wearing the precious diamond necklace they hope to rob. The film is directed by Gary Ross, with the Ocean’s films original director Steven Soderbergh as a producer. After the last hundred or so sequels, it looks like Ross and the cast have revived the franchise with new life and a bit of fun.